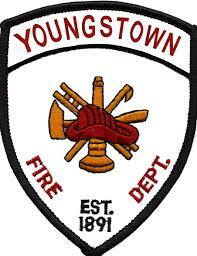 YOUNGSTOWN, Ohio (WYTV) – The City of Youngstown is still struggling to balance its budget but it’s making progress. There’s still debt that needs to be paid, though, and one department is asking council to consider giving it more money, citing a safety issue. Thursday night, Finance Director Kyle Miasek presented an expense budget worksheet to council. As of right now, the city still has a deficit of $433,000 that needs to be balanced. Over the next two weeks, Miasek said he’ll be meeting with all of the city’s different department heads, offering recommendations to help them “live within their means” and not overbudget themselves. But Youngstown Fire Chief Barry Finley needs $250,000 for a new radio system, saying the ones they have now don’t allow them to properly talk with dispatch while they’re out on calls. It’s a problem they’ve had for the past two years. It all stems from a grant the police department got for a new set of digital radios, which the fire department piggy-backed on. He used the deadly fire on Crandell Avenue in September of 2017 as an example, calling it one of the most frustrating calls he’d been on. He couldn’t talk with his crews inside of the burning home, even though they transmitted calls. “They transmitted twice — we didn’t hear them. So they stuck their head out the window and screamed, ‘We found her, we’re bringing her down,” Finley said. He told council when the radios were replaced by the communication company Staley Technologies, their old VFH system was completely taken off-line. Now they can’t go back to the old one even if they wanted to. He said the fix for that would cost $250,000 because they’d have to get new antennas and upgrade all of their handheld radios. They must be waterproof — which has caused an even bigger headache. Miasek said should something happen as the result of a communication issue, the city could find itself in a difficult situation. He’s recommending that the $250,000 for this radio system upgrade not be a part of the budget request coming from the general fund. Council members then asked how it would be paid for. Miasek and Finley said those talks will start happening Friday morning and they plan to have an answer at the next council meeting on March 31.